Went to the skate shop today to look for good wheels, and behold! They had good wheels! Index Skate Supply, of the Dallas Fort Worth area, is hands down the best skate shop around these parts. Great supply of newschool stuff and stuff to make old skaters very, very happy. 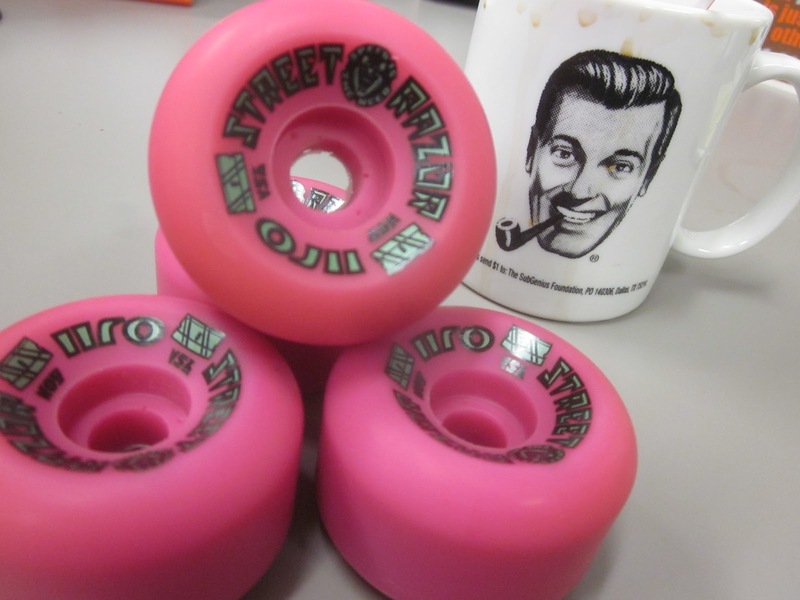 Anyway, I prefer tall (by today’s standards) wheels in the 95a hardness range for general street and ditch skating. These OJ Street Razors, at 60mm and 95a, should flow nicely.